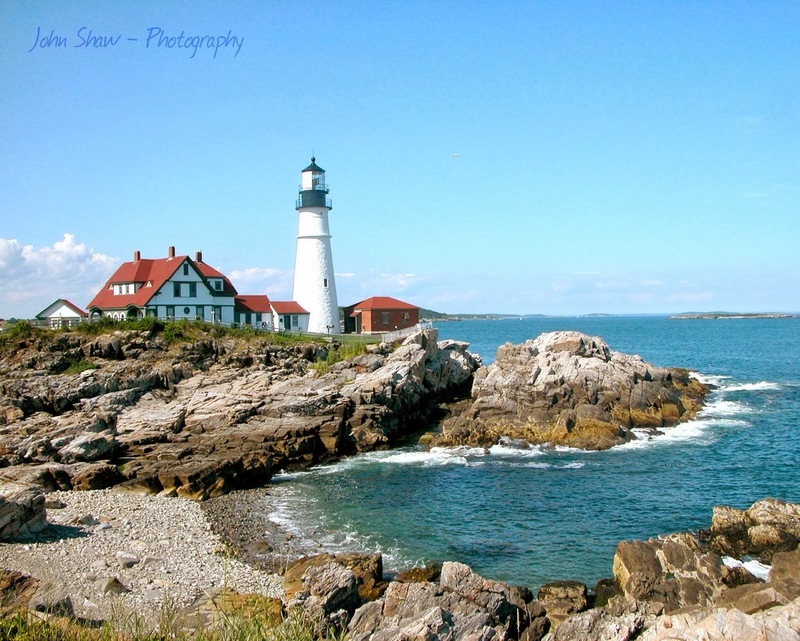 Over the years I have had a passion for photographing lighthouses in Maine and beyond. 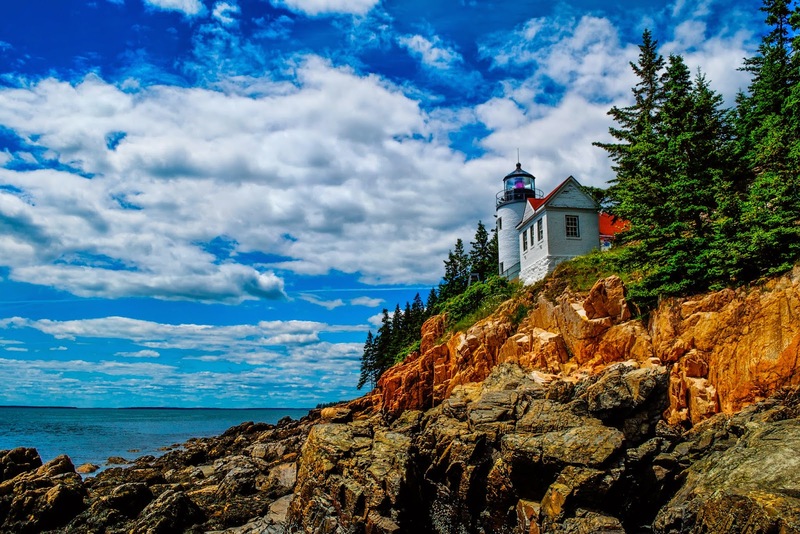 Please join me on a tour of the Maine lighthouses to which my wife and I have traveled. I will start way down east and take you all the way down the coast to the southern tip of Maine. I will try to include some history as well as directions to a spot from which the lighthouse can be viewed. I hope you enjoy our little journey. CREDITS: I would like to thank Jeremy D'Entremont for providing much of the history one can find on this site. 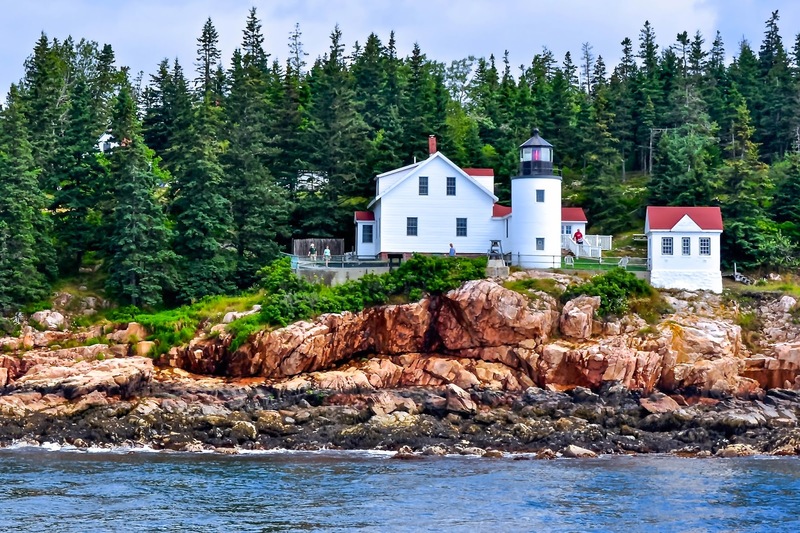 He is a speaker, author, historian, and tour guide who is widely recognized as the foremost authority on the lighthouses of New England. 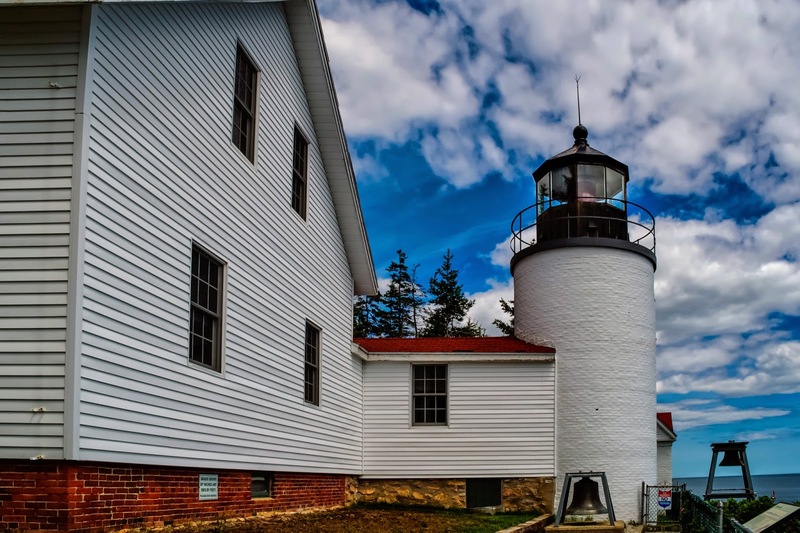 For a story on Jeremy or to visit his site (New England Lighthouses: A Virtual Guide), use the corresponding link in the right hand information bar under "Related Links". I have set up this site as a means to share my photographs of lighthouses. Since retiring and finding more time to study photography, my interests have expanded a little. For some of my work other than lighthouses please enjoy my Facebook page at, John Shaw Photography. Come visit, enjoy, and 'LIKE' if you wish. Also, for your enjoyment, I have provided a slideshow of our journey. To view it please use the link on the right under 'Site Navigation Tools'. I sincerely hope you enjoy my efforts and use my site not only for information and education but also to provide directions for many enjoyable, inspirational visits to the beacons along our beautiful coas. Bass Harbor, a picturesque village of the municipality of Tremont, is at the southwestern tip of Mount Desert Island in an area known to locals as “the quiet side.” This pretty lighthouse in its rugged setting is visited by tens of thousands of tourists each year, and it easily ranks as one of the most-photographed lighthouses in all New England. Congress soon appropriated a sum of $5,000, and title to the needed land was secured in 1857. 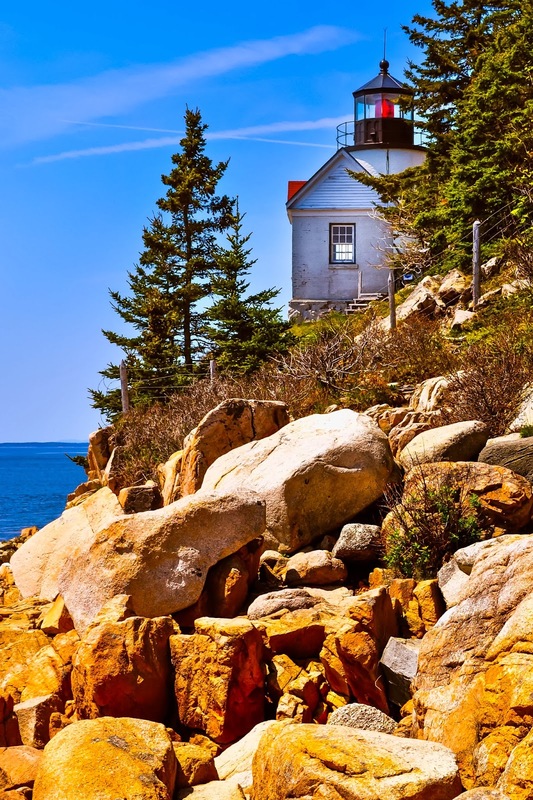 A 32-foot-tall lighthouse was built at rocky Bass Harbor Head in 1858. The cylindrical brick lighthouse tower is attached to the one-and-one-half-story, wood-frame keeper’s house by a covered walkway. 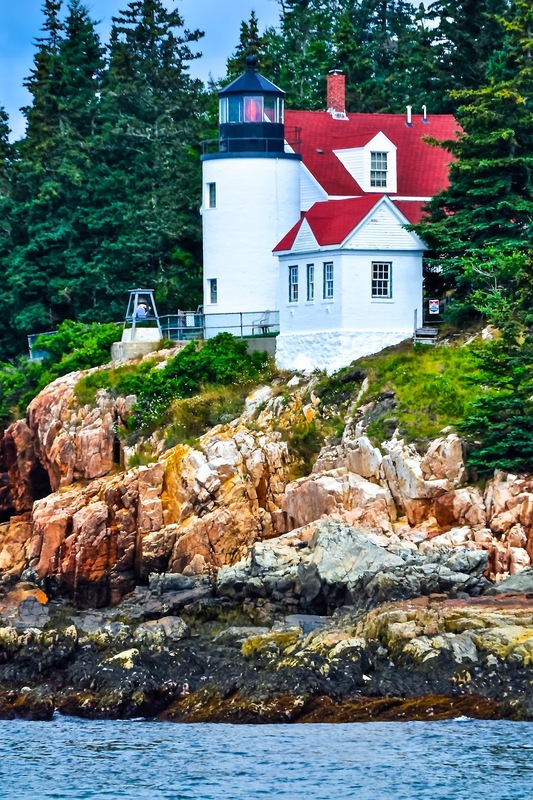 A 32-foot-tall lighthouse was built at rocky Bass Harbor Head in 1858. The cylindrical brick lighthouse tower is attached to the one-and-one-half-story, wood-frame keeper’s house by a covered walkway. A fixed red light went into service on September 1, 1858. It served to warn mariners of the Bass Harbor Bar at the eastern entrance to Bass Harbor, and also to mark the southeast entrance to Blue Hill Bay. 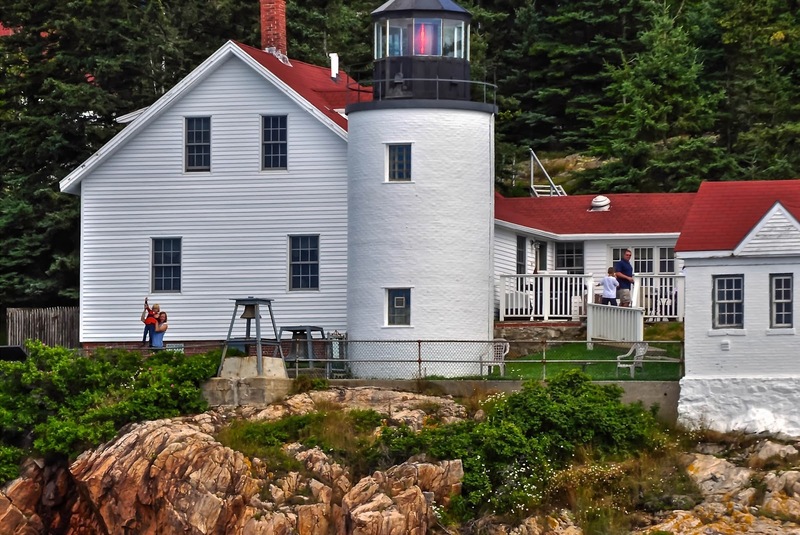 Throughout its history as a staffed light station, Bass Harbor Head was home to a single keeper and his family. The light was converted to electric operation in 1949. After automation in 1974, the station was retained as housing for a Coast Guard family. Several commanders of Coast Guard Group Southwest Harbor have lived in the keeper’s house. 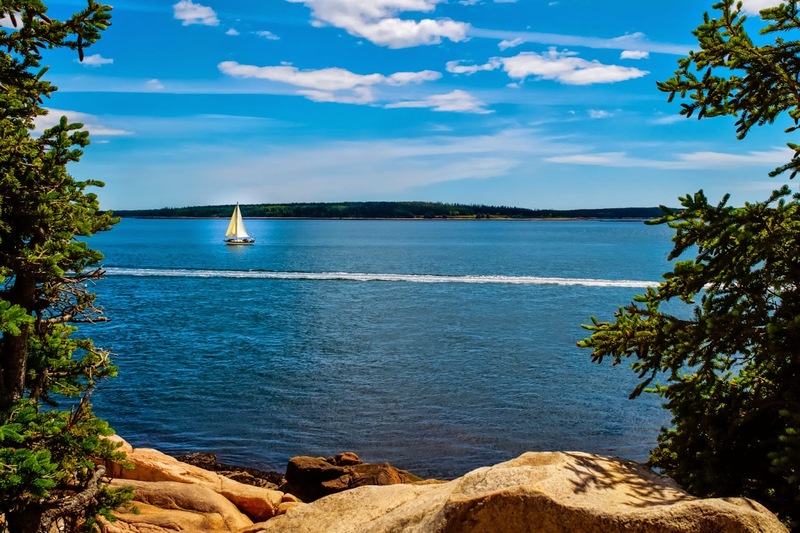 Bass Harbor today is a secluded fishing village and the location of a ferry to Swan’s Island. There is a large parking area near the lighthouse that often fills up in summer. A path leads down to the granite boulders neighboring the light station. To get a good view of the lighthouse it is necessary to climb a distance over the rocks; extreme caution should be taken. Directions: Follow Route 3 from Ellsworth to ME 198, turn south onto ME 102 and continue through Bass Harbor to the Coast Guard Bass Harbor Head Station entrance. There are trails east of the parking area which head down to large granite boulders at the shore; best views and photographs of the light from land are taken from these rocks. For photos from the water, follow “Swans Island Ferry” signs through Bass Harbor , turn right onto Swans Island Road and the ferry landing. The ferry is easily incorporated into custom boat charter routes. Five Lighthouse Cruise From Rye, N.H. I have been married for 49 wonderful years, have three grown children and six very special grandchildren. I spent 42 years in education as a high school principal, as a teacher, as an athletic director, and as a coach. I was fortunate to have the the honor of being inducted into the New England Basketball Hall of Fame in 2009. I enjoy photography placing a special emphasis on lighthouses. Thank you for following "Maine Lighthouses and Beyond"
Thank You for visiting, "Maine Lighthouses and Beyond"